Adventurous people try out cool things. Such as German food haha! So yes off we go to Brotzeit for a some German food! 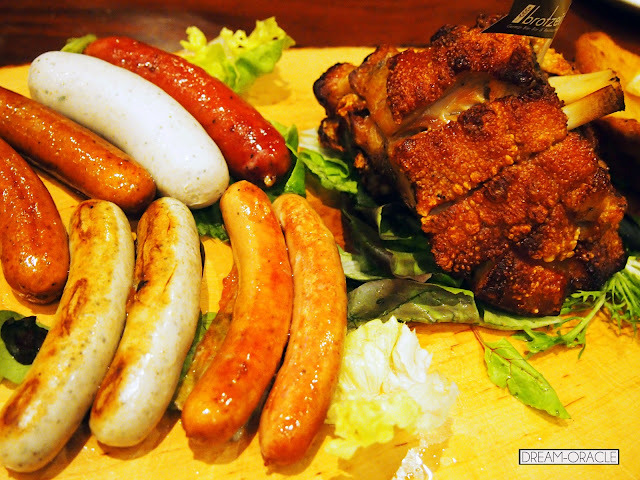 The Brotzeit platter for 4 or 5 pax comes with 1 deep fried pork knuckle, German sausages, 2 pork schnitzels and some pickles. The portion is just nice if you share among 4 person. This dish came to us in a oblong "plate" , if your definition of a plate is an oblong slice of wood hacked off a huge tree trunk. Totally rustic and country. The sausages were delicious, very juicy and fresh. The pork schnitzel is unfortunately, the least favourite item on the platter. It was pretty tough. My wrists got tired from trying to slice them up, and then my jaws got tired from chewing. As for the pork knuckle, it is amazing. Crispy. There is no other word to describe it. When you bite into it, the skin just goes "KRRR..UNCH! ", you can feel it bursting and the crunchy bits just fly about in your mouth. The pork meat is tender and flavourful. Oishii!! The platter comes with 2 side dishes so here we go.. Tasted a little like thick mee pok doused in mac & cheese sauce. Okay okay so maybe this wasn't to my taste, but I guess it was a novelty to try something different. 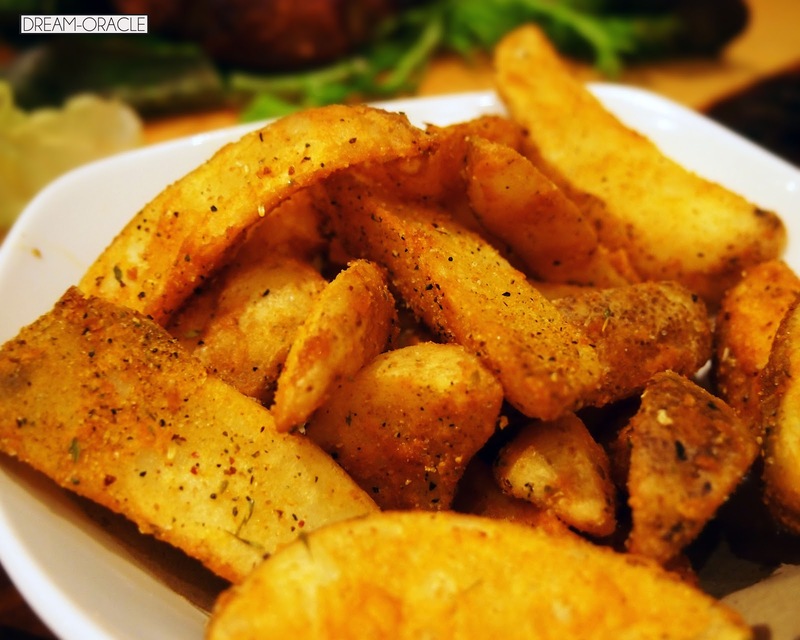 This is hands down the best wedges I've ever tasted. Golden brown, crispy on the outside soft and fluffy on the inside. The spices took the taste one level higher, just the right amount of pepper, salt and spice. If you ever visit Brotzeit, this is a must order. I quite like the ambience, a little noisy, very much crowded, suitable for gatherings with friends. The food wasn't too bad, especially if you're looking to try something new, sample German food, then I would suggest you come with a group and order the platter. 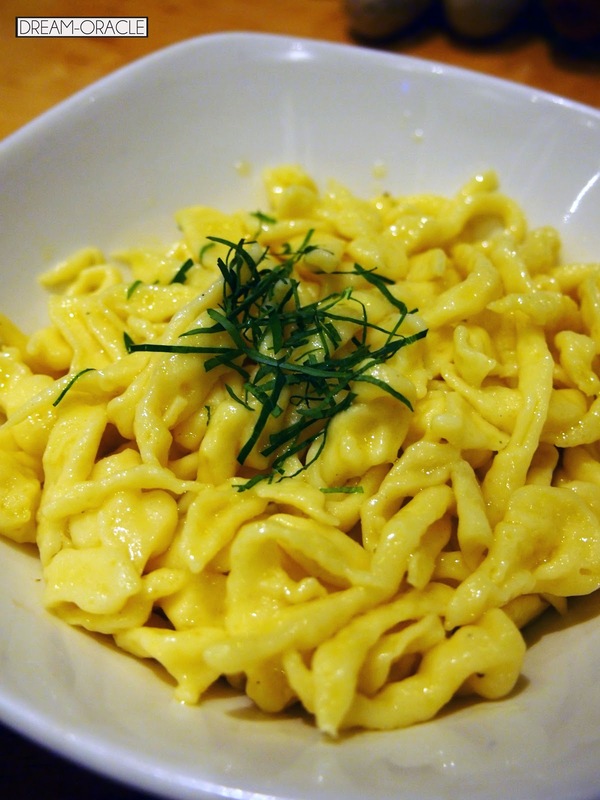 All the famous foods that comes to mind when you mention Germany. It's literally Germany on a plate.